We Have The Install Advantage! Turn your backyard into an oasis, by simply adding a pair of outdoor speakers! 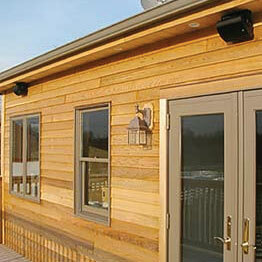 There are two common styles of outdoor speakers our clients choose for their outdoor entertainment. The first kind is what we call surface mounted speakers - usually mounted to the exterior of your home. The second common style of outdoor speaker is what's known as garden speakers which are placed on the ground around your home, usually in a garden or poolside and are camouflaged into the surrounding environment. All of our recommended outdoor speaker types and models are weatherproofed to provide years of lasting enjoyment. Adding a pair of externally mounted speakers are a simple and clean looking way to provide you with localized music within your deck or patio area. We offer a wide range of high end outdoor speakers depending on your back/front yard's needs. These speakers are durable, weatherproof, and provide years of excellent sound quality. We'll help you choose the correct model, size, and color speakers for your outdoor listening. This option makes the music look as good as it sounds with speaker designs that blend seamlessly into your landscape by mimicking the appearance of rocks, planters, or even coconuts for your Tiki Bar. Imagine this - you're outside working in the garden, and you start to sing. 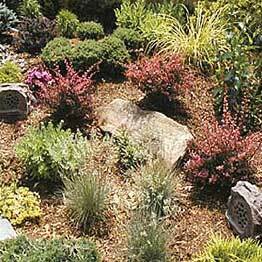 As you're cleaning the flower beds, each plant becomes more colorful. And when you sit in your favorite yard chair, you can't help but notice the burst of life that has overcome your flowers. Most of our customers choose to add a volume control outside near the speakers for quick and easy volume adjustment to provide just the right listening environment. "Anytime I'm in need of some accurate technical advice or an upgrade, I know I can trust Mark from Dial-Install. He knows his stuff!" We are authorized dealers carrying a full range of products and brands enabling us to turn your electronic "wish list" into a reality at almost any budget! Contact us for a FREE estimate for your next custom audio/video project. Do you need custom audio/video work? Need advice on your home renovation? Based in Amityville, NY - we service all of Long Island & beyond.